Be smart with the HSPU and break them up early if needed so you don’t hit muscular failure early on in the workout. Medball cleans are back! They are deceiving but with the lighter weight work to keep a quick cycle time while meeting range of motion. If you don’t have a handstand walk yet try some of the scaling options in the vault like shoulder taps or a variety of walks on the wall or around the box, etc. 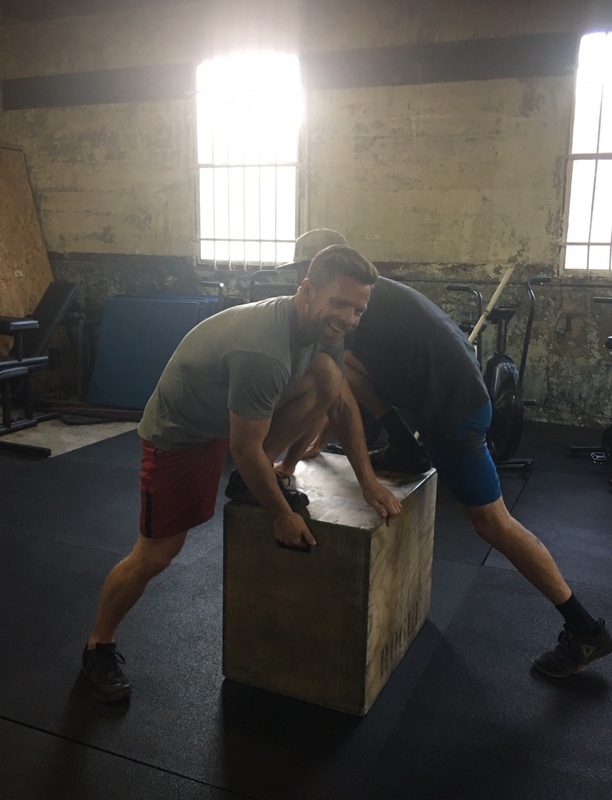 Shoulders and legs will get taxed in this one so be aware of that and work for efficient movement and pacing along the way. Modify to 5/15 if needed in order to meet the goal time domain.